I recently returned from a trip to the great northwest, well Canada’s south west to be specific. Myself and 34 other caterers and friends traveled all over the beautiful city of Vancouver; eating, drinking, and laughing the whole way. Debra Lykkemark, or Culinary Capers, was our guide through this Canadian Culinary Carnival with the help of a few brave souls at Edible Canada. These chefs at Edible offer tours focused solely on promoting local food and highlighting Canadian cuisine. With a main headquarters located in the heart of the historic Granville Island they enchant and delight guests with innovative and beautiful flavors of new and old Canadian Cuisine. Our first dinner was a partnership dinner at the Edible restaurant where chef and president Eric Pateman, paired with Culinary Capers Executive Chef Margaret Chisholm, set the gustorial bar to new heights with a multi-course dining experience. Our palates were tickled with chef Margarets appetizers that included Seared Scallop BLTs, and Granville Island Sake Cured Salmon with ginger, pink peppercorns and fennel. As we took our seats, ChefEric explained the philosophy behind Edible and all the wonderful products his local artisans were producing. We were treated to chef demonstrations between courses that showcased the talent and care the local chefs put into every one of their dishes. This care shined through our very first course, a beautiful lump of poached Dungenous crab meat garnished with a leaf Servers then descended upon us and poured a small amount chilled dark orange colored watermelon soup around the delicate crab. Strong herbal and spice notes jumped out at your taste buds as our crew almost took the shine off the bottom of the bowl trying to capture every last drop. of the most micro-thai basil. Along with the soup, some other perfect offerings that night included Kasu and Birch syrup glazed sablefish with sea asparagus and wild mushrooms in an XO broth brought new converts to the birch syrup cult. Rich and fruity but dark and deep like molasses, this magic elixir glazed the top of our succulent sablefish creating a dark but sweet combination perfectly complimented by the meaty wild lobster and white chanterelle mushrooms. The stage had been set, previous expectations exceeded, and we were off and running to our next adventure. For a taste of the best Canada had to offer from both land and sea we dined at Miku for a 7 course tasting menu paired with local and traditional Japanese sakes. Opening amuses included Water Melon Gazpacho and Nova Scotia Lobster Bruschetta all finished with fresh garden tomatoes and avocado puree. A sashimi offering of succulent fatty tuna, flounder and kampachi paired with house-curedhorse mackerel and fresh lemon. From surf to turf with house-cured wild boar prosciutto and wild boar-duck terrine, followed by a Japanese Suzuki wrapped dashi infused jumbo prawn and asparagus. We finished the meal off with some beautifully crafted premium sushi including seared wagu ribeye, kampachi, seared fatty tuna and house-crafted smoked salmon. Each course was a work of art without a single wasted motion or flare. Miku perfectly captured the zen of traditional Japanese cuisine with the flavor and style that is purely Canadian. The next day we braved chilly waters and schools of jellyfish with our First Nations guide to experience a traditional smoked salmon barbeque cooked over an open Alder wood fire. Our guide entertained us with stories of her people from creation, legends about nature and wildlife, to the introduction of European settlers and cultural assimilation. She sang traditional songs that rippled over the water surface to the edge of the mountains which seemed to answer back like echoes from an earlier age. When we arrived at the historical springtime fishing village of her people, a large fire was crackling away almost as if it anticipated our arrival. Our feast of wild rice studded with foraged mushrooms and green onions paired seamlessly with the tranquil serenity of the cold water lapping at the base of mountains made for an unforgettable experience. Some of the best meals I have ever eaten were only fifty percent about the food. The rest of the formula was filled with the people I was dining with, the environment and the reason for the celebration. On a farm in the Pemberton Valley, we dined in a flat clearing surrounded by giant mountains still tipped with white traces of snow. We dined al fresco on home-style salads, beautifully cooked pork shoulder and loin, grilled flank steak, local artisan breads, and roasted farm fresh vegetables. With the sun warm on our faces, the wind at our backs and our bellies full we departed the farm for the last stage of our adventure. Our journey ended with different adventures in the shadow of Whistler Mountain. Some of our group found an adventure at a zip-line course while others relaxed at a spa. I opted for the classic shop, drink and people-watch. While I walked the streets of Whistler I looked for good, local beer and took a tour of the Olympic sites. zucchini blossoms stuffed with crab and cheese with a roasted pepper and pine nut relish followed by the most delicate lemon and roasted garlic crusted halibut with local chanterelle mushrooms and mustard greens. The dessert was an amazing treat of raspberry sorbet on a stick encased in white chocolate and rolled in pistachios then dusted with gold flakes paired with a decadently smooth black forest cake re-imagined with brandied cherries and chocolate mousse. As we finished our meal one of my table companions chimed in, “Did you guys realize this was the final meal for the trip?” I had not realized that this was the last of so many gastronomic experiences we shared together. It was the seamless melding of food, fun and conversation that let our minds wander and disappear into this adventure. It was that heady combination that made it seem like this trip could last forever so that we never had to stop asking, “what’s next?” But, as with all great experiences, this one must come to a close. We bid our farewells and see you soons, followed by a few tears and laughs over the antics of the journey. Now it is time to head back, and take the knowledge gleaned from our travels and incorporate them into our businesses and lives. Stay tuned for some new worldly culinary delights from Lon Lanes Inspired Occasions here on Culinary R and D! Tarragon is an amazing herb. Bright intense flavors with complex undertones and a beautiful aroma should place this herb as my main contender for most used herb in the garden. Sadly this has not been the case for far too long, but no more! This summer I have found the perfect partner for my flourishing tarragon plants, the bright and citrusy snap of lemon. What better format to express these two perfectly paired partners than a cocktail? Introducing the Tarragon Lemon Fizz; tarragon infused lemonade mixed with Hendricks Gin, topped with prosecco and finished with a tarragon sugar rim. The tarragon adds a beautiful herbal balance to the tart and sweet lemonade while the gin provides a subtle spice and a fresh hint of cucumber. The dry prosecco finishes the drink with a smooth bubbly tingle on your tongue. The sugar rim completes the drink with a hint of sweetness to make this cocktail a true classic. The beauty of tarragon is that it plays well with others in both savory and sweet applications. Here we present our newest savory bite, smoked goat cheese rolled in tarragon in a crisp prosciutto cup. This is then topped with a warm lemon blueberry compote and finished with diced preserved lemon. This is a culinary journey neither you nor your taste buds will soon forget! The salty and crispy prosciutto cup is perfect textural balance to the warm and smooth goat cheese with its hint of smoke accentuated by the sweet tarragon. The intense blueberry lemon compote adds yet another fresh and bold layer and texture with the diced salty bits of preserved lemon finishing off the journey. A perfect expression of the season in every bite. Tarragon is also a very delicate herb, soft and sweet but regal and classic. It also adds a French influence to any dish it graces. With that in mind I ventured back to an old classic, oil poached lobster tail, and started to rework the recipe. Presenting our Lemon and Tarragon Oil Poached Lobster tail on roasted fingerling potatoes tossed with shaved white onion and fennel, garnished with oven roasted grape tomatoes and finished with a warm drizzle of the poaching oil. The lobster was moist and delicate with a sweet and delicate aroma wafting from the plate coaxing you to dive right in. Each bite of the sweet lobster was perfectly balanced with the herbal hits of tarragon and the bright citrus bite of lemon. The roasted potatoes were the perfect textural balance, adding a slight crunch from the roasted edges and the raw shaved fennel and white onion. The final drizzle of the poaching oil brought the whole party together for a perfectly harmonious orchestra of flavors. If there is any other ingredient that could add to the perfect culinary chemistry that is tarragon and lemon it would have to be blueberries. They are the sweet fruity connector that makes great dishes possible. Let me introduce our newest dessert sensation, sautéed lemon and tarragon blueberry Tea cake paired with preserved lemon ice cream, drizzled with hot toddy syrup made of lemon, honey and bourbon, then sprinkled with preserved lemon. Breathtaking! This dish has everything you need, the cake takes a beautiful crust with the sweet and salty preserved lemon ice cream acting as a perfect foil to the blueberries and tarragon in the cake, but the finisher here is the hot toddy syrup adding a hit of honey and bourbon brings each bite to life! The final bites of diced preserved lemon add a great salty pop to keep your taste buds engaged with every forkful. Some pairings are just too perfect, they need to be explored expanded and played with in such a way to bring out the best in every flavor. Tarragon and Lemon have kept us inspired and will be playing a major part in this summer’s culinary adventures. Stay tuned for more inspired dishes from Lon Lane's Inspired Occasions Research and Development Department! Italian is the go to American food. Think about it, every day people are ordering pizza, pasta salads and lasagnas without even thinking they are dabbling in another countries history. American Italian has seen some dark days but the sun is on the horizon and a new renaissance is blooming. Chefs are concentrating on regional specialties showcasing their interpretation of the history and culture of individual areas. We decided to try our hand at re-inventing some true Italian classics with modern twists and exciting ingredients. Pasta salad has always been my go to during the hot summer months. It’s very easy to make, its filling, completely customizable, and won’t wilt at a picnic. But being my go-to for so long has made this dish stagnant, sometimes boring. Not anymore, a recent personal discovery of a fun and exciting pasta shape has reinvigorated my love of this dish. Presenting our newest summer salad, trotolle pasta salad with grilled eggplant, diced tomatoes, spinach, shredded asiago and finished with a light and refreshing roasted garlic vinaigrette. These funky little pasta shapes trap and hold bits bright dressing that bursts with every bite. The grilled eggplant adds a deep slightly smoky flavor creating a deep flavor to compliment all the light and fresh ingredients. The pasta salad has been reborn, and trotolle is its savior. Lasagna is a true classic. A perfect example of Italian home-style comfort in a pan, with each layer a symphony of flavors and textures, yielding effortlessly to the next. So what can we do to put a new spin on history? What possible changes could we make to tradition that could make this dish better… take away the noodles! Introducing our newest, and gluten free, comfort creation; Italian Grilled chicken and vegetable spoon bread layered with orange scented polenta. We started with a layer of diced grilled vegetables, then poured on a thin layer of polenta enhanced with orange zest and shaved parmesan cheese. We followed this with alternating layers of grilled chicken mixed with mozzarella, more polenta and a traditional mixture of sautéed spinach with ricotta, eggs and a dash of nutmeg. With one final layer of polenta our newest classic was ready for the oven. The result was light and fluffy “lasagna” with a bright orange bouquet invigorating your senses before diving through each flavorful layer. Many people view Italian food as heavy, rich sauce laden, cheesy pasta dishes that sit heavy in your stomach and are only balanced out by an even more powerful wine. This is simply not the case. The coasts of Italy are renowned for some of the best seafood in the world, creating the most amazingly flavorful yet light dishes around. In the spirit of the Amalfi coast fishermen we present our grilled pino grigio brined sword fish on a bed of parleyed orzo highlighted by bright lemon zest drizzled with lemon infused olive oil. The brine kept the fish moist and juicy, while the wine provided a perfect acidity and crispness to enhance the delicate flavors of the swordfish. The lemon and parsley orzo perfectly complimented the sword fish by enhancing the citrus notes of the brine while adding an herbal touch to balance each flavor. A true taste of the lighter side of Italy. Now let’s talk cobbler. No matter what the season I love a warm and sweet cobbler topped with a big scoop of rich ice cream. So why not end our Italian adventure with a taste from the great explorers of Italy. Presenting a dish with worldly origins, our apricot and bing cherry cobbler with polenta biscuit topping and crystalized ginger ice cream. This creation was truly a treat, combining the juiciest ripe apricots with plump sweet and tart cherries that exploded with flavor all topped with a crisp and sweet polenta topping. The crust was a great discovery itself, with a flavor and texture reminiscent of a sugar cookie but with a beautiful grit and chew from the corn meal. This flavor bomb was then topped with a crystalized ginger ice cream with added a sweet and spicy bite to the rich fruit. America is waking up to the true joy that is traditional Italian dishes, rich in flavor and steeped in tradition. It is now our job to take these classics and bring them into the modern age by adding our own personal touches and creating something new and exciting. Stay tuned for more inspired dishes from Lon Lane's Inspired Occasions Research and Development Department! The Lighter Side of the Street. Is there anything better than street food? Hot and comforting, street foods are a direct connection to the society that created them. Each bite is a tribute to someone’s home land, a taste of history dancing from fork to tongue. But these dishes are designed for comfort, not waistlines, so they tend to be rich and heavy. Why not take these classics over to the lighter side with some fun twists and delicious adaptations! Pizza is as iconic to the American street food scene as hot dogs and meat on sticks, yet we have traveled too far from this classic dish’s noble roots. Pizza used to be an art, from the perfect dough to the exact manipulation of the wood fired ovens to produce the perfect pie. We decided to take this classic for a spin by using a whole wheat crust topped with grilled marinated artichokes, shaved red onions, baby kale, and tarragon rubbed smoked goat cheese, drizzled with extra virgin olive oil and sprinkled with preserved lemons. The dough is rolled out thin then introduced to a screaming hot grill, adding beautiful crispness, flavor and a slight char that once was only achieved in the heat of a wood fired oven. The flavors melt into each other as the flames licks the crust, providing you with a bright and fresh taste of the garden with every bite. Since the birth of the food truck movement a change has occurred in the way people view what is acceptable street food. Along with the pizza, hot dog and taco scene, newcomers like grilled cheese, donuts and pies are carving out their spot on the culinary landscape. But the gooiest and richest player in the game has to be my personal favorite, Macaroni and Cheese! So let’s take this decedent classic for a bit of a twist and introduce our newest evolution in cheese, the Grilled Cauliflower mac with whole wheat noodles, crisp manchego and sharp cheddar cheese sauce topped with fried shallot rings and a red and golden pepadew relish. Each bite is a flavor bomb of sharp cheese, smoky bits of cauliflower, the vinegary hit from the pepadews and the final crunch of the fried shallot rings. A dark and light combination of flavors titillating your palate. Now while we in America have some rock star curbside cuisine, our neighbors to the north have a dish so rich and flavorful that one bowl could keep a burly grizzly warm through the winter. I am talking of course about poutine. Poutine is the classic dish made from thick cut French fries, cheese curds and rich thick gravy. To turn this cholesterol bomb around we substituted the French fried for sautéed zucchini and squash batons, the sprinkled on seared brussel sprouts and grilled radishes then spooned over a light but flavorful vegetarian stock gravy then garnished with shaved parmesan. Each bite was warm and comforting yet somehow summery and light. A fun and festive tribute to our neighbors up north. With our new curbside culinary culture growing faster and faster our dining options are radically changing and expanding. It is our job to take these new classics for a spin and develop our own take on the take out cuisine. Stay tuned for more inspired dishes from Lon Lane's Inspired Occasions Research and Development Department! The band Alabama once famously said, “Down home, where they know you by name and treat you like family.” I believe that this statement applies not only to a geographic location but to an experience. An experience we can only get from food that is unpretentious, inviting, familiar, and nostalgic. While the “Comfort Food” trend has started to fade into the sunset lets welcome a new revival of grandmother’s classics with fun and exciting twists. What can be more down home and welcoming on a warm spring day then a refreshing glass of fresh lemonade? An iced glass of sweet and tart lemonade slowing beading condensation down a glass while grills are blazing and kids are playing in the yard is as Americana as you can get! What could make this any better? How about infusing the lemonade with fresh herbs from the garden like rosemary, basil and mint, then spiking the drink with citron vodka and topping each glass with a bubbly splash of spicy ginger beer. The herbs enhanced the sweetness with a fresh herbal bouquet while the citron intensified the tart lemon flavor with the sparkling ginger beer contributing a surprising and refreshing bite. Pour me a glass and let’s cook! Growing up one of my favorite salads was my grandmother’s spinach salad with warm bacon vinaigrette. She grew, among other things, the most amazing crisp spinach I have ever had, and every day over the spring and summer my brother and I would go to the farm with her and pick a big basket of dark green foliage. She created a salad using fresh mushrooms, onions and warm bacon vinaigrette all topped with a perfectly poached egg from those little cups you set in simmering water. For our adaptation we used grilled Portobello mushrooms, shaved red onion, corn bread croutons, oven poached eggs and a warm sweet and sour red wine vinaigrette. The succulent mushrooms touched by the char of the grill added a body and meatiness to the salad while the shaved onion and vinaigrette provided an acidic bite. The cornbread croutons lent a sweetness and crunch to balance the silky texture of the runny oven poached egg. When I imagine a down home meal potatoes always come to mind. Mashed, roasted, baked or glazed potatoes are the go to starch for down home celebrations. My absolute favorite has to be scalloped potatoes, thinly sliced potatoes layered with caramelized onions, cheese and a rich sauce then baked until soft and golden. How can you make this any more comforting, make a soup! Introducing New York white cheddar scalloped potato soup with cavolo nero and a sweet balsamic glaze. We pureed the scalloped potatoes with a hearty splash of cream and chicken stock and barely simmered till a rich and smooth soup was achieved, then we added handfuls of torn cavolo nero ( Italian black Kale) and covered till the greens were wilted but kept a slight snap. Right before service we topped with a swirl of sweet balsamic vinegar glaze to balance the slight bitter bite of the greens. Everything you need in one small bowl! Meatloaf, it has every connotation these days from the horrors of the school cafeteria to the Kobe beef stuffed with foie gras of New York City! But while the meatloaf slider has come and gone, why not change up the format once more by changing the loaf to a cake, a cup cake! Presenting our trio of mini meatloaf cupcakes “Iced” with 3 different mashed potatoes icings. Each little loaf was a bust of flavor between sweet and savory, with the juices from the meat being soaked up by the creamy potato toppings. A perfect single bite of nostalgia every time! Meatloaf with caramelized apples and roasted poblano peppers with a chili sweet potato icing, followed by the lamb meatloaf mixed with cherry vermouth chutney topped with preserved lemon and feta whipped potatoes, and lastly our traditional home-style veal with sautéed sweet peppers, onion and garlic then topped with rosemary and Parmesan mashed potatoes. Now let’s talk ice cream; home-style, rich and velvety, the perfect end to any down home dinner. But why stick with vanilla; chocolate or strawberry let’s branch out with something bold and crazy! Let me introduce you to our newest summer sensation, sweet tea ice cream topped with a warm preserved lemon and honey syrup. The rich tea flavor is infused into the cream then mixed with a touch of pure honey to create a sweet symphony of summer. The saltiness of the preserved lemon mixes with the sweetness of the honey creates a triumph of flavors reminiscent of your first cold glass of sweet tea. We can never forget our roots, our culinary traditions that made us who we are today. Each bite or sip of some down home goodness brings us back to the people and places we love, and that is what comfort food is all about! 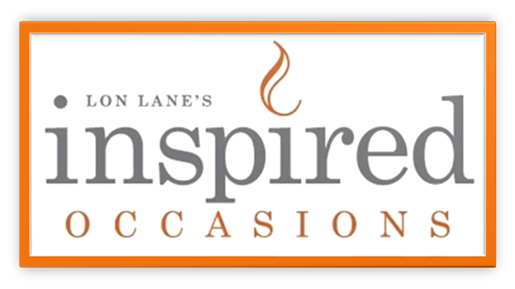 Stay tuned for more inspired dishes from Lon Lane's Inspired Occasions Research and Development Department!